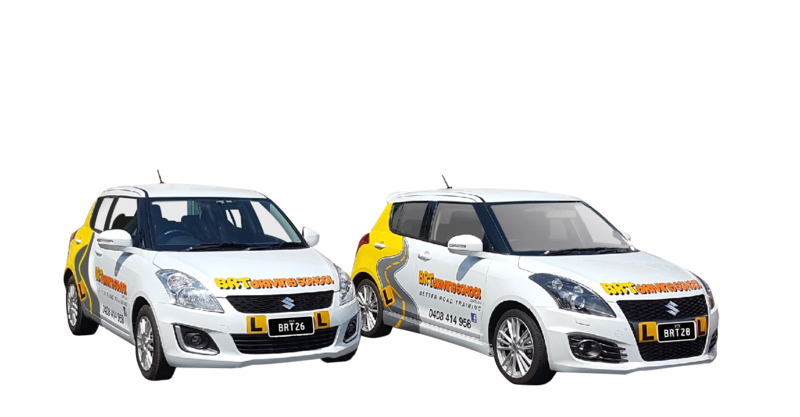 If you’re looking to find the perfect driving instructor for driving lessons, BRT Driving School has the experience and knowledge you need. Our driving instructor team operates in Brisbane, Logan City, Beaudesert and Northern Gold Coast. Our number one priority is to teach drivers to be safe on the road, while keeping in mind to be responsible and defensive drivers. Our driving instructors objective is to help you to recognise dangerous driving situations before they occur, and assist you to achieve many years of safe driving. We offer driving lessons for all Queensland Learner Drivers at any age and any level of driving ability. Our driving instructors are always calm and attentive to ensure that your driving lessons are without stress or fear. Log book hours are very important for getting you drivers license, but the quality of those hours is what matters the most. Ten hours of professional driving lessons with BRT Driving School can provide 30 hours in your log book. Plus, every additional hour thereafter can add a further hour of professional driver instruction. No matter you age, driving experience or confidence, BRT Driving School are here to help you get your learners license, provisional license, refresh your knowledge and increase your driving confidence. We look forward to you booking a driving lesson with us today. Call us now or fill out our online booking form to secure a lesson time with BRT Driving School. We have specials available on lessons from time to time. Find out what’s available now! We have a range of pre-paid lesson block that will save you money off the single lesson rate! Want to test your knowledge before driving lessons. Download the latest TMR guide. Give the gift of driving safety with our gift certificates. Use them for birthdays, Christmas or graduation. If you’ve had a car accident or have a fear of driving, we can help get your confidence back. My lesson with Mick taught me many things that previous driving schools didn’t. He taught me the correct procedures in many things and improved my driving skills 100%. A big thanks to Mick and BRT driving for believing in me and teaching me! I recommend this to anyone who’s looking for a good instructor! If you are looking for a driving instructor for your son or daughter… look no further. My daughter passed her test first go and with no mark downs. I cannot thank you enough Mick. If you would like to submit a review for BRT Driving School, please click the button below. Book your driving lesson now! Jimboomba, Cedar Vale, Cedar Grove, Flagstone, Greenbank, Logan Village, Yarrabilba, Tamborine, Beaudesert, Browns Plains, Beenleigh, Maclean and everywhere in between.